There have been two explosion at the Boston Marathon this afternoon. There are reports of numerous injuries. It is unknown at this time if there are any fatalities or the cause of the two explosions. MSNBC is also reporting a fire at the JFK library that started shortly after the explosions. The headquarters for the organizers of the marathon, one of the world’s oldest, was reportedly locked down while authorities investigate. Reporters inside the Copley Plaza Hotel, where the media center is and where many elite athletes are staying, were unable to leave. The explosions went off more than four hours after the start of the men’s race, which meant that there were still several thousand runners yet to finish the race. order generic accutane online Up Date 21:10 EDT: This is the final up date for the night. Police commissioner Davis is asked if he is confident that officers have found all the explosives. He says the focus of the investigation is in the area near the explosions. He declines to comment on evidence analysis, possible people of interest – pretty much everything. Davis says that at least three people died, but stressed the casualty numbers are in flux. He went on: “Tomorrow, as the governor said, will not be business as usual in Boston.” He says police will be working 12-hour shifts to investigate the case. The explosion occurred only a few hours after a press conference given by Samira Rajab, Bahrain’s Information Affairs minister. Ms Rajab had described the situation in Bahrain as “very reassuring”. She blamed foreign media for “blowing the security situation out of proportion”. “There has been no major escalation of violence on the ground recently as the F1 Bahrain Grand Prix is drawing nearer,” the minister said. This is your morning http://maientertainmentlaw.com/?search=propecia-online Open Thread. Pour your favorite beverage and review the past and comment on the future. Find the past source site “On This Day in History” here. 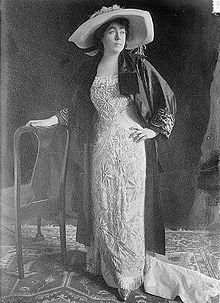 Margaret Brown (nèe Tobin) (July 18, 1867 – October 26, 1932) was an American socialite, philanthropist, and activist who became famous due to her involvement with the 1912 sinking of the RMS Titanic, after exhorting the crew of lifeboat 6 to return to look for survivors. It is unclear whether any survivors were found after life boat 6 returned to search. She became known after her death as “The Unsinkable Molly Brown”, although she was not called Molly during her life. Her friends called her Maggie. Born Margaret Tobin in Hannibal, Missouri, one of four children born to Irish immigrants John Tobin (1820-1899) and Johanna Collins (1825-1905). Her siblings were Daniel (born 1863), William (born 1869), and Helen (born 1871). Added to these, Margaret had two half-sisters: Catherine Bridget Tobin, by her father’s first marriage, and Mary Ann Collins, by her mother’s first marriage. Both her mother and father had been widowed young. I wanted a rich man, but I loved Jim Brown. I thought about how I wanted comfort for my father and how I had determined to stay single until a man presented himself who could give to the tired old man the things I longed for him. Jim was as poor as we were, and had no better chance in life. I struggled hard with myself in those days. I loved Jim, but he was poor. Finally, I decided that I’d be better off with a poor man whom I loved than with a wealthy one whose money had attracted me. So I married Jim Brown. Margaret and J.J. were married in Leadville’s Annunciation Church on September 1, 1886. The Browns had two children. The family acquired great wealth when J.J.’s engineering efforts proved instrumental in the production of a substantial ore seam at the Little Jonny mine of his employers, Ibex Mining Company, and he was awarded 12,500 shares of stock and a seat on the board. In Leadville, Margaret first became involved with the women’s suffrage issue, helping to establish the Colorado chapter of the National American Woman Suffrage Association and working in soup kitchens to assist miners’ families. During 1894, the Browns moved to Denver, Colorado, which gave the family more social opportunities. Margaret became a charter member of the Denver Woman’s Club, whose mission was the improvement of women’s lives by continuing education and philanthropy. During 1901, she was one of the first students to enroll at the Carnegie Institute in New York. Adjusting to the trappings of a society lady, Brown became well-immersed in the arts and fluent in the French, German, and Russian languages. During 1909 she advertised herself as campaigning for the U.S. Senate. Margaret assisted in the fundraising for Denver’s Cathedral of the Immaculate Conception which was completed during 1911. Margaret worked with Judge Lindsey to help destitute children and establish the United States’ first juvenile court which helped form the basis of the modern U.S. juvenile courts system. Margaret campaigned for Senate again during 1914 but stopped when her sister Helen married a German baron, with Margaret believing that the union would have made a successful campaign impossible. On May 29, 1912, as chair of the Survivor’s Committee Margaret presented a silver loving cup to Captain Rostron of the Carpathia and a medal to each Carpathia crew member. In later years Margaret helped erect the Titanic memorial that stands in Washington, D.C.; visited the cemetery in Halifax, Nova Scotia, to place wreaths on the graves of victims; and continued to serve on the Survivor’s Committee. She was particularly upset that, as a woman, she was not allowed to testify at the Titanic hearings. In response she wrote her own version of the event which was published in newspapers in Denver, New York, and Paris. 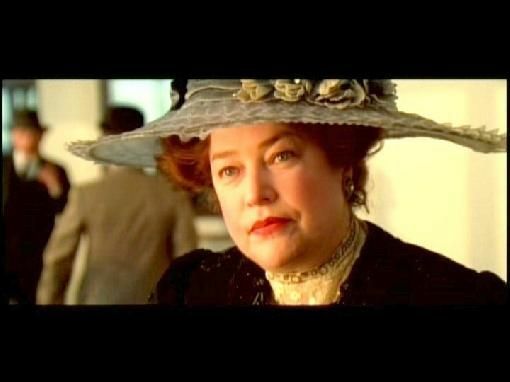 The actor Kathy Bates, who portrayed Margaret “Molly” Brown in the movie Titanic, bears an uncanny resemblance to Margaret Brown. And soon he may do hearts and lungs and other parts and pieces. Despite liberal gospel, Dr. Frankenstein, under the alias Harald Ott with all his Igors and Igoresses under various aliases, cannot create Frankenstein tomatoes or pound sense into actual liberals, but he may be able to replace worn out parts, even some day maybe a brain that works. The baby lab rats aren’t as lucky as all that since they lost a good kidney to get a replacement of Dr. Frankenstein’s artificial kidney that don’t work real good – yet. Hey wouldn’t that be swell if all the people with failing kidneys and failing hearts and failing lungs and failing brains – er, maybe not the latter – could get parts made for them that don’t have to have Igors and Igoresses robbing graves? I never thought this dream would move this fast but science is funny that way. We never seem to get to things that are just around the corner but stuff that is way off beyond the horizon suddenly smacks you in the face. Why can’t we put an end to corners?